but she went to the effort of typing up her efforts to walk again. when we have a big enough reason to persevere towards a goal. account of overcoming polio written in December of 1956. I had been in the hospital over a month, when the nurse came in to tell me that they were sending me home. I still could not walk and could only move a few of the fingers on my left hand. I said I was not ready to go home. She said that was just my hard luck as lots of the people afflicted could not walk, and that I was one of those who would never walk again. It was 1949, I had Bulbar Spinal Polio I had two children at home and was 6 months pregnant. I was not ready to assume the duties of a wife and a mother and be a homemaker. How was I to manage? But I’m getting ahead of myself, my story began two months earlier, at the end of summer. In September of 1949, I was enjoying life and especially raising my children. As most wives living on farms I was myself a farmer, gardener, housewife and mother. Yes it was a lot of work, but that is what our lives asked of us. My life in 1949 had rhythms to it, rhythms according to the seasons. Late summer, when my story begins, is the busiest time on the farm as many crops are ready for harvest. As we grew many vegetables, there is always something new to tend to, harvest, can, pickle or store. 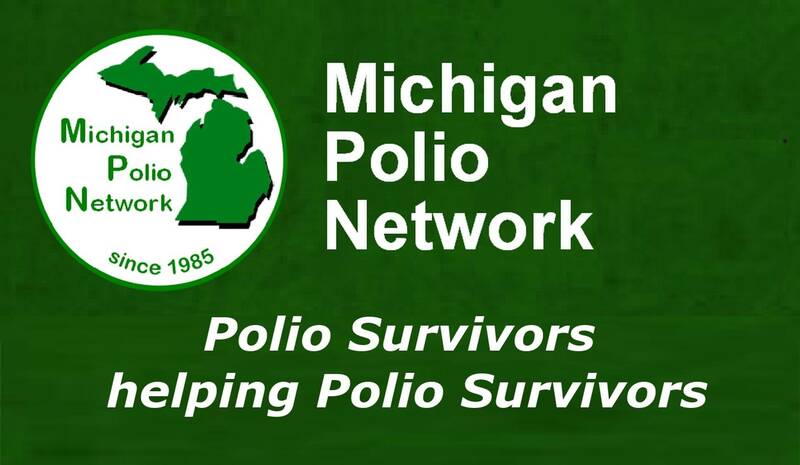 So, while summer was the time for harvesting and canning, summer was also the time polio season came around. Polio to most of us was something to read about, hear about, talk about but we never gave much thought to it personally affecting us. During the summer of 1949, I like countless others, was going about my work and driving myself far beyond my strength. In addition to the farm work, I cared for my two children, a big garden, and that summer I was also repairing furniture. I became sick while hoeing in my garden. I developed such a headache, and got so weak I fell to the ground and could not walk. I had to crawl to the house on my hands and knees. It was long way to the house. No one was home except for my ten year old son and my nineteen month old baby boy. My husband was away for two days as he was periodically, to pick up machinery to fix. I managed to crawl up onto a bed and I lay there for two days. Later I found out that polio only infects a few kinds of nerve cells. In the most dangerous cases, the virus infects the cells that allow you to breathe and swallow. During these two days I was unable to swallow properly. So, while my son fed and looked after the baby, I refused food and water - as the polio had begun to affect my ability to swallow. When my husband returned home late in the evening; he did not disturb me, as my son said I had a headache. I had a fitful night's sleep. On the evening of the third day I woke and was again alone with the two children. I realized I had to call the doctor. I crawled to the telephone and managed to hang on to a chair to call the doctor. He was only a little while in coming the six miles to our place. He asked me if I was afraid of getting polio. I had not been afraid for myself, as it was usually infants and children that were affected. I was afraid my children might get polio. This was the evening of the sixth of September 1949. He gave me an examination and then told me his findings; he said I had polio. Early the next morning, on the seventh of September 1949 the doctor came out to my house really early and took me in his car to his office in town. He called in other doctors and they gave me a spinal test which proved that I had polio. The doctor called an ambulance and the ambulance driver took me to a hospital over 200 miles from my home. Later we found out that 1949 was the second worst polio epidemic in the USA with 42,033 cases of polio. During my time in the hospital, there were hundreds of people already admitted to the hospital, most of them were children, with more arriving every day. Some were quite young toddlers or babies still in diapers. At that time the hospital was so full they put me in the hall on a cot. There was a lot of commotion and noise. I just lay there, listening, until to the eight of September; then I was put in a room with another lady. For certain the record epidemic meant there were not enough nurses. I got very little attention, and when I did, the nurses did not have time to make sure I ate or drank. I think the nurses were quite overburdened. I was so weak by then from no food or water that I could not open my eyes. I lay in this room until the evening of the 9th, when the first doctor came back to see me. He asked if I could eat. I said I was hungry but was not able to eat. He said “Do you mean you have been here two days and no one fed you?” I said, “They bring trays but I can't eat, water comes out my nose and the food won't go down.” It was not uncommon to have trouble swallowing, when the polio paralysis travelled up to one's neck. In a few minutes they set up a big bottle on a stand and a needle in my arm, and so the intravenous fluid was my only food for a few days. After about half of a bottle was gone, I was still so weak I could only whisper. At least I could open my eyes a little, whereas before my eyes were covered in film. Even after the intravenous fluid had strengthened me some, the only part of my body that I could move, were the fingers on my left hand. By now, I could not talk, cough, sneeze, or use my throat muscles. I was paralyzed from the neck down, luckily the paralysis did not go into my lungs or chest. I had Bulbar Spinal Polio, and the pain spasms would run up my spine like a red hot knife searing the nerves and muscles. The pain shots did not relieve this terrible pain. At that time, a common treatment for the muscle spasms of polio, was to heat the muscles with very high temperature wraps. I receive my first hot packs on the 10th of September. They were heated in a small metal machine that looked like a small washing machine; this clattered so loudly when rolled into my room, it frightened me. The pieces of woolen blanket, were heated with steam - not just hot water. They were so hot, they were only touched by long forceps. These were wrapped mummy fashion around my arms and legs and body, then covered with plastic. It seemed as though the awful pain spasms would never end. These would jerk the muscles throughout my body so hard that my body would move up the bed and my head would end up wedged against the head of the bed. The nurse would have to get me by the heels and pull my body back down the bed. Then they would wedge my feet against a foot board, so the feet would be flexed at the ankle so the foot and calf muscles would be stretched into a natural standing position. The fury of the pain spasms was about spent in three weeks; by then I was thoroughly paralyzed. The arms and legs refused, to move no matter how hard I tried. The doctor came to the door every other day and said good morning but never on Saturday or Sunday. I got several penicillin shots, several shots for pain and the hot packs continued as long as I had muscles spasms. The routine for the hot packs was to have them on for five hours, off five hours, then back on. During the fourth week, the doctor and a physiotherapist came to my room and said we want to examine your spine. They each grabbed an arm and one held my limber and useless neck, and supported my head and they bent me forward to try to get my forehead to touch my knees. I was wrapped mummy fashion with hot wraps. I was so terrified to be bent down. I was six months pregnant by this time and they only gave enemas every two days and I was really so miserable. I begged them to loosen the wraps. I felt if they would loosen those tight wraps it would not hurt and I might be able to bend forward, but they did not do so. They both just grabbed me and bent me double. I screamed, as it just seemed to break me apart. The doctor got mad, he put his hand over my mouth quick and hard, and let me back down on the bed. They left the room, then sent the nurse in to tell me that they were sending me home. I said “I’m not ready to go home”. She said that was just my hard luck, as lots of people could not walk after polio, and that I was one of those people who would never walk. My brother-in-law visited me the day I was discharged from the hospital. He arranged for an ambulance to take me 200 miles back to my home. So on October 3rd 1949, I was taken by ambulance to my home by the same ambulance driver. It was raining heavily. I was on a stretcher face up, until they got me in the ambulance and got the door shut - the driver covered my face to keep off the water, as he said I might get a cold. While in the hospital those four weeks, my main thoughts were “my young boy needs me” and “I will get well”. With every breath I drew I knew I would get well. I knew it just as well as I knew the Sun would rise again. Now, I was on my way home. I was so homesick to see my boys as they needed me; but I was not ready to assume the duties of a wife and a mother and be a homemaker. How was I to do it? I believe that God gave me the wisdom to think clearly. I thought about how, to get well all the way home. So before I got home I knew what the first step wasn't. It was not being put to bed as they thought. I had them put me on the sofa in the living room. I had it all planned in my mind how I would learn to control my head and eventually sit up once again. The feeling in the fingers of my left hand was returning, I would squeeze, release, flex and stretched my fingers every day, throughout the day. On October 6th I asked my husband to pull me up to a sitting position on the sofa and he did, but I could not control my useless neck, I realized it needed to be stronger. So I told him to put a pillow at my neck while I was sitting up, in this way I would hold up my head for five minutes. This I asked to do three times per day, then gradually I increased the time to fifteen minutes and several more times a day until I finally was sitting up for 30 minutes. In three weeks I learned to control my neck, and learn how much I was able to do. While I could turn my head, I had to do so ever so carefully, if I looked around too far as I did once, I risked falling off the sofa. On that occasion, I fell sideways onto the arm of the sofa and could not get back up on my own, I had to be raised up, as yet my whole spine was not strong enough. After six weeks of practice I was sitting up six times a day. I also strengthened my right hand with left one. As I was right-handed, I wanted to be able to use my right hand; as I was having to try to do things with my left, like feed myself. I would think of and try different types of exercises to strengthen my right hand. Once I asked for apples to peel and I held the knife in my right hand and twisted the apple against the knife, with my left hand. By seven weeks I could hold a pencil in my right hand and by propping up my elbow, I could write a little. It looked like a child's scrawl but it was not the looks of it that mattered, but the idea that I was really progressing. I was stronger and I knew that I had to try hard as my baby was due in about four weeks and of course she would need me. Yes, she would be a girl, I knew. After seven weeks of practice I could now push myself up to a seated position; if someone pulled my legs off the sofa for me, and if I lean back against the back of the sofa. If I leaned too far forward I would fall off, and I was so afraid I might fall on my little boy, now 22 months old, so I was careful. My little darling, would give me what help he could, he would push on my legs as I pulled them; together we could get my legs back up onto the sofa when I wanted to lay down. The change in my legs in just three months was awful, my legs lost their strength and were just bones, with barely any muscle left on them. Now it was eight weeks since my return to my family, and three months since I got polio and I wanted to get off the sofa so badly but I had rarely had help in the house as my older boy went to school and my husband had to work. By now my arms were a little stronger and I had my little boy get a small rocking chair and pull it to me, I grasped the arm and by getting my hip on the edge of it I managed to pull myself into that rocker but my heart pounded so hard it hurt. But my little boy would say “Oh mommy dats pine.” what sweeter words were ever spoken, they were my hope. After a few more weeks of this, I found that I could lean on the arm of the chair and twist it and get from one room to the other, by jerking and swivelling it. I decided that I would go to my bed in the bedroom. I was able to get the chair to the bed but the bed with higher than the sofa. The only way to get on the bed was for me to lean over and have my husband pushed me onto the bed on my stomach. I usually stayed on the sofa all day because the bed had no backrest to support me while I was sitting up. Wanting more independence made me want to try a wheelchair, so we got a wheelchair. Unfortunately, I could not get out of that chair as in those days wheelchairs were made of wood and varnished; not really suitable for a person with polio. It was too slick to get in or out of myself; I had to be helped in and out. Which meant I was not strong enough yet for that type of wheelchair to increase my independence. A few days after I got the chair my husband had to do work away from the farm; only my boy then ten, and the baby were home with me and they could not help me. I got so tired by evening, that I tried to get onto the sofa, from the wheelchair myself but fell out because my legs and especially my back were still so weak. I could not raise myself from the floor. I was not even able to push myself up into a sitting position. So I had to lay on the floor till my husband returned. Always of a sensitive nature and wanting my independence, this event, made me determined to find some way to get out of the wheelchair without help. I wondered if the vanity stool might be the answer. It had a cloth top and was not slick, so I wedged the stool between the sofa and the wheelchair, that worked for me and gave me independence. I use this stool to get into and out of my bed now. I was so glad to have another place rest besides the sofa. By now I realized it was so necessary to get strength into my useless legs. I wrote to the doctor in the hospital and asked what I should do to get stronger. His curt reply was “I have no advice to give, now.” What would you do, you people who stay in the hospital weeks and months and have every care and treatment? And the people who have some member of the family that can stay and help you? Yes, what would you all do? I had no one to give me advice, no one to give me any encouragement, no one to tell me anything. It was up to me to study what was weak and devise exercises to strengthen each part of my body until I could walk. I decided that if I could pedal my sewing machine I could strengthen my useless legs as well as mend the clothing. I would sit in my rocking chair, stiffen my knees and push against the foot pedals. This was now about nine weeks since I returned from the hospital. The feeling was coming back into my legs a little, I started to feel pins and needles. I could not yet raise my feet off the floor on my own, but I believed that peddling that sewing machine would help strengthen my calves and legs. So I spent more time at that sewing machine than in my wheelchair. Every time, little boy would help me slide my legs off the sofa, and he was always so encouraging. By now it was almost Christmas of 1949 and my baby was due soon. During winter there is less outside farm work and children have almost two weeks winter recess from school. That was helpful during this time, so my husband and older son were at home a bit more. I went to the Hospital in December and on the 30th my little girl was born a hundred percent perfect weighing six and a half pounds. When my daughter was four weeks old I had a dream where I was climbing a ladder; this gave me an idea. I ask my husband to build me a ladder and fasten it on the wall, which he did. I tied my wheelchair to this ladder and tried to raise myself upon my feet for the first time in five months. I came down faster than I got up. I had lost so much weight, I was able to pull my whole body up by my arms, but my legs has lost so much muscle they were useless. I could not possibly stand on them because my back and legs were too weak. This helped me realized that I had to strengthen my back as well. The next set of exercises I thought of were ones I thought would strengthen my back and I did them while I was in bed. I was able to turn onto my tummy, while in bed, I tried to draw my knees up underneath myself, so I would be in a position to learn to crawl. It sounds simple, but I had to try this for many days, sometimes ten times a day, before I was successful and able to hold up my back while on my hands and knees. Then it took me another month to learn to crawl like a baby, it was so strengthening and I was so thrilled. I was overjoyed because now that my back was stronger, I could renew my efforts to stand. Now to normal people this meant nothing, only my little boy, now 25 month old, who talked so well, said “Oh Mommy dats pine.” In response to everything I did, he was the one who gave me praise. When I fell off the bed, or the wheelchair which I did many times, he was the one who got the vanity stool, and pushed it up to me, and I would get my tummy over the stool, and push it to the correct position so I could pull myself back on the sofa, then push myself up to a sitting position. Then, from sitting on the sofa, I could push myself across to sit on the stool, from sitting on the stool, I could then push myself across into my wheelchair. It may seem like such a roundabout way to get back into the wheelchair. Since the wheelchair was too high for me to pull myself up into all the way from the floor, I couldn't do it any other way. I know that people wonder why I did all this to try to regain my usefulness. Anyone would, if they loved their little babies enough, and realized that unless they made the effort no one else would. Not only did it required regular exercises many times a day, the challenge was figuring out what part of my body to work on next and designing exercises that would help me; that could be done with what I had available. It took me until the first of March, about 6 months, to raise myself off the seat of my wheelchair, when holding onto the ladder, without falling. My back was slowly getting stronger, and I did not get discouraged. Soon after this, on the 4th of March 1950, we had to move to a different house. My son and husband packed the things and my husband, his brother and a friend loaded the things into the car. My brother-in-law and friend put me on a chair and carried me out to the car and put me in the front seat. The move to our next home was long, it took over a six hour drive to get there; it completely exhausted me. In this new house we were still six miles from town, with no electric lights, no telephone, and just a cistern or rain tank for water and an oil burner for heat. the nearest main road was gravel and we had a two miles long clay dirt driveway, leading to our house. One day when my husband had taken the truck and would be gone two days to get a load of machinery a few hundred miles away, the stove went out. The older boy was in school and although it was already the end of March 1950 that year we had sudden cold temperatures. While the first three days of March in 1950 were the usual cold and dry, followed by unseasonably warm and lovely four or five days, we then had one of the coldest and severest winter storms, we had ever seen. The blizzard moved northeastward across the midwest toward the great lakes. I had not been able to leave my wheelchair since the extra nerve wracking trip; when we moved to this house. That day it got colder and colder and I could not get out of my chair. I was able to wrap a blanket around my cold feet and legs but since I did not have good circulation nor good feeling in my legs, I did not know I had frost bites on them, till several days later. When my boy came home from school we could not get the stove to work. Late that night my husband came home and put up a wood stove next day. But by then the house was down to 28F (-2.2C). The children were dressed warmly and did not feel the cold too much. Once the heating was stable, my husband left to get a load of furniture to repair, as that was one way we earned money. While he was away my legs and feet became very swollen, developed great black spots and hurt so bad. I asked my eldest boy, to go to the nearest neighbor and ask if someone would come help me a very kind woman came. The neighbor said the sores on my legs and feet were open, some down to the bone. How I suffered, they were almost unbearable. I did not yet have a doctor in this area so my son accompanied the neighbor as she made the long way back to her house and she called a doctor. The doctor came to the house and diagnosed the sores on my legs as neglected frost bites and said this might my cost me my legs. He gave me a big shot of penicillin and then sulfa powder, which he put in the deep sores; the open sores healed closed in a few weeks. All the time and effort put in to be able to sit upright on my own and be able to raise myself out of my wheelchair - only to be wheelchair bound again. Having spent six months devising exercises to do and building up my strength. This felt like such a setback. After going through this, I made up my mind to get out of that chair again. It took two months for me to regain enough strength and be able to stand on my feet again for a few moments at my wheelchair. I was able to do so by May of 1950. After being wheelchair bound for two months, the tendons and ligaments in the back of my legs were now so short it was impossible to put the soles of my feet flat on the floor. I had to raise up and hold my weight on my toes. I decided that I must try to walk, so for several months I had to practice getting on my feet and being able to just stand. My exercise was to stand and balance while I washed dishes and cooked and I even canned 300 quarts of fruit and vegetables. It took that much practice to strengthen my muscles and stretch my tendons and ligaments before I was able to stand for long periods of time and shuffle my legs by November of 1950. My baby girl, now 11 months old, was already walking. I kept at these exercises all summer. Fall of 1950 was a busy and rewarding time as we harvested the grains and other late spring-planted crops. The canning involves hours and hours of peeling, cutting, packing, fetching water, boiling, and proper timing; not to mention having to move around the kitchen. All of this took a lot of effort but helped to strengthen me. Helping as much as I could with the in-door work kept me busy and gave me hours of practice standing, strengthening my muscles and improving my balance. By the following spring, I was able to walk. This was one year since I froze my legs and one and a half years since I got polio. March of 1951, I was able to stand by the baby's bed and then concentrating very very hard I could move my legs in trying to walk. The leg muscles were so weak, I had to stiffen my knees and only by concentrating intensely, could I walk from one end of the baby's bed to the other - that was six feet of space. My muscles were still so weak, if I relaxed at all, I crumpled into a heap. The exercise was to go from room to room holding onto pieces of furniture. I was only able to do this if I was hunched over; I even tried to stand up straight I fell over backwards. I was sensitive enough for it hurt for anyone to laugh at me, so I kept a strict routine. When I was standing, I could not yet balance myself independently. Still I washed, ironed, cooked, cleaned, baked, canned, sewed, washed up farm milk things and even painted the furniture my husband repaired, from my wheelchair. I could not balance myself unless I had the chair against the back of my knees. I felt that leg braces were needed but that I did not know how to make. By now it was the end of April 1951, and I needed sunshine so badly, and yet I could not manage walking outdoors. My solution was to put the babies to sleep and crawl outdoors and sit in the sun. As here was no one home, I could practice crawling and getting around and get stronger. I did this as my exercise for months before I decided to take my toddler and baby out as well. I had to crawl down three steps to get out to the back porch, where we kept the baby buggy. My little girl, now one year and four months, was able to get down the steps better than I could. My youngest son, now three years and three months, was able to get into the buggy himself, then I would lift my daughter into the baby buggy. Since they were so both happy to get out and ride in the buggy, I spent all the spare time I could outside, pushing them in the buggy and trying to teach myself the correct way to walk. This was the next part of my exercises and it really had to be done outside. Because I had to swing my leg from my hip, in order to set my foot down properly, there was no way to practice correctly in the house. Also, I had to have the combined weight of both of the children in the buggy to balance myself. Luckily, the front yard, backyard and driveway were all level with one another, so I walked miles that spring of 1951. I would put my foot firmly on the ground and lift each one pretending that I was walking alone, and not swinging my foot from my hip, in time I could walk, without looking at my feet, then I knew that I was progressing, as it is really an automatic, reflex and, as yet I had to concentrate very hard even though I could walk more correctly without looking and this exercise I have to practice for long hours at a time. I made up my mind that before the snow fell again I would be walking with canes outside. So I changed the exercises again and for a while I supported myself when outside by putting my hands against the sides of the house. This was a different way - than hanging onto the buggy - to strengthen my muscles, especially my back, as I could stand up taller. I got strong enough so that, using two sticks - if there was no wind - I would go out walking. I could not walk this way on windy days or if there was even a small amount of mud, rain, or snow. I kept at this routine for another year, mainly improving my gait, balance and still building up the muscles to give me more stability. It seems as though after polio it took a much longer time to rebuild muscles and strength than after say a broken bone or being bedridden for three months. By the following spring, I was strong enough to help with outside farm work. Once the weather warms up in March, we prepare the soil for planting. April and May are all about planting in the midwest. I helped plant green beans in our garden in the spring of 1952, and that was wonderful. I walked with two sticks, would bend forward as far as I could, drop the beans into the furrow; then walk on a few steps and repeat the same thing over and over again. I kept at this routine of walking and doing all I could think of to get stronger for another year, eventually walking with only one stick; unless it was windy or uneven under foot. In March of 1953 I left southern Illinois and moved up to the most beautiful area of northern Illinois, with just my children. My husband’s difficulties farming and my disability had taken their toll on our marriage. I moved into an old house only two miles from town. Finally, that spring I was was strong and stable enough to stop using the last stick and walked alone. I could stand in the front yard and look around the hillsides and thank God that I could walk alone at last. I worked in the garden, raised several hundred chickens, a few ducks and geese, so we had our own eggs. I walked one half mile every morning to get the mail, and I was feeling better than I had in four years. Now that I was on my feet I was anxious to work. In the summer, I applied for and got a job at the processing plant Calpack; neither they nor anyone else knows the actual hardships I've had to go through in order to keep this job. I desperately wanted to work as the years of disability had taken all my money, I was broke, and Christmas was coming in a few months. I wanted to get the children clothing as midwestern winters are bitterly cold. Also they were old enough to ask why Santa didn't come. I was given a job doing corn inspection and I worked ever so hard. I was desperately in need of that job and hoped I could work all the time. The corn harvest finished in late fall, then the processing plant started to produce meat pies in December of 1953. When they called to hire me, I learned that we were not excused on account of the weather. I was able to walk without any stick to help me balance when the ground was uneven if it was dry. Where we lived had real drawbacks and dangers for me in winter. The narrow unpaved laneway from the house to the highway was half a mile long and we lived two miles from town. In our midwestern winters, the laneway could easily and quickly fill with snow, so no one would be able to drive me all the way to the front door of my house after work. Some of you may wonder who cared for my little ones when I went to work. During the war, most states set up Lanham nursery schools with USA government support. The government wanted children to be cared for so mothers could work outside the home and help the war effort. The Lanham Act was terminated in 1946, once the war was over, so these nursery schools were no longer available. I guess the country no longer felt it necessary to encourage women to work outside the home. By January of 1954 my young son would be six years old and my little girl four years and one month. So I was only able work night shift. I would feed the children, put them to bed and then go to work. My eldest was now 15 and very capable with the younger children having helped me with them consistently during all these years. I was too ashamed to admit to the personnel manager of the plant that I was not able to walk well, so I said nothing. The only way I could walk the half mile down the laneway, through the snow was using my two sharp sticks and by going incredibly slowly. I went at a very slow pace because I was still not strong enough to get myself back on my feet if I fell to the ground. So every step was tested as to the slipperiness and I made sure each foot was on firm footing. In this way, I slowly made my way to the mailbox where my friends would stop to pick me up and take me to work. When I started, I carried a cane in the car so I could walk from their car into the factory. I left my two sharp sticks at our mailbox, along with a flashlight and a scarf. Night shift finished at two o'clock in the morning, needless to say, it was sure to be dark. My routine for walking back to the house from the mailbox in winter at two in the morning, after my shift, was just as slow and cautious as when I left for work in the evening; with some added steps. When my friends drove me to the end of our laneway, I would open the mailbox, take out my flashlight and turned it on. This I wedged between my cheek and neck by tying an extra scarf around my neck. I left the flashlight on so I could see. It was very dark along that laneway at 2 in the morning. Lastly, I had to hold a sharp stick in each hand so I could stay balanced and get through the snow. You who read this may doubt what I say but every word is true, and why did I work? Well my children needed things, rent had to be paid and I was the only wage earner at the time. I planned on working till I could have the necessities. Well one night I fell down into a deep snow drift, about four feet deep. The snowdrift was a little soft that is why I fell. It is also why I could not get up, try as I might; it just was not physically possible. I know God heard my cries as I did cry, alone into the night. Then and only then did I ever rebel against the trials I had been subjected too. I vowed to myself I would not live so far from my work. I asked God to show me the way, as it was cold and I had to crawl all the way to the house on my hands and knees. The next day I started from my house early and as I could not get through that big snowdrift in the road, I crawled over the fence instead. I started walking through the plowed ground. Most of the snow was gone in this area only small patches of snow were left. Well, everything was fine until I stepped into a furrow and down I went, clear down to where I was sitting on the snow. I lay down my stick and tried to crawl out of the plowed ground but I could not get out. I was again completely stuck and good. I sat there for 30 minutes then I saw the school bus stop at the end of our laneway. I waited until my eldest son, came up and saw me. He pulled my feet out of the soft ground but I was so weak and shaken I just could not stand or get up. My only option was to roll and roll until I was over far enough to get past that deep furrow and be on solid ground, then he could help me stand up. He stayed and watched until I got to the mailbox and my friends stopped for me. I was so nervous and shaky that I was three minutes late to my place on the pie line and the boss bawled me out. I told him I got stuck in the snow, he did not know nor did he ever find out how I was stuck. I'm too stubborn to tell. In 1955 we moved to town, a year after getting stuck in the snow drifts twice while trying to get to my job at the factory. I was very happy as I had promised myself never again to wade the snow, and from our home it's easy for me to get to work. I had to yet overcome the wind unbalancing me, it still was not possible for me to walk in the wind unless I had a cane. The exercises I set for myself this past year were to get out everyday and walk ten or twelve blocks to town and back before I went to work. I have practice and stayed with my own exercise routines until now, as I write this it is December of 1956. I can now confidently take my place as a wage earner and housekeeper and mother, where a few years ago I was told that I would never walk again. Who can I give credit to? No one, only God and myself; as I knew I would walk again and by keeping active persistently and methodically I won. M. May went on to successfully raise her children and provide very well for them. Her children went on to graduate from college and raise families of their own. Her youngest son became quite a traveler visiting and living in many countries. M.May died in the late 1960’s of complications related to an intestinal surgery. Decades later one of M. May’s granddaughters, whom she never got to meet, was so inspired by the strength and tenacity in this story, she submitted it for publication; in hopes of inspiring others.